There are always fashion trends that we wish would go away or had never happened in first place. We’re all guilty of it, but hopefully we have learned from the mistakes of the past so we are not doomed to repeat them, and maybe even have a good laugh about it. 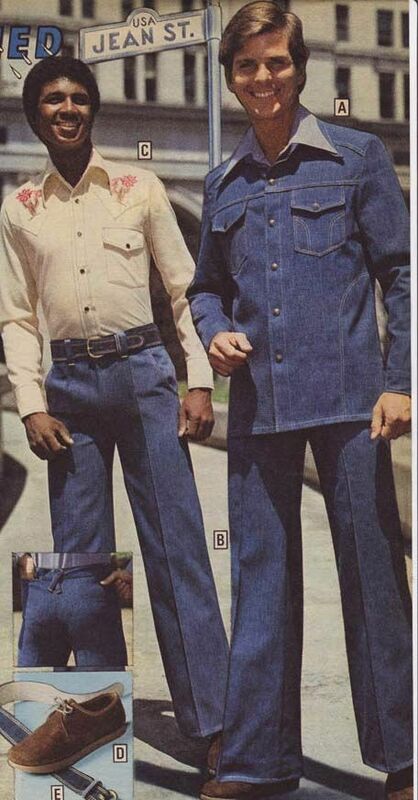 So let’s take a trip down the old memory hole to look at what happens when good style goes bad, or rather the more infamous moments in men’s fashion over the last half-century. The 1960s was a tumultuous time in the country, with the Vietnam War abroad and the Culture War at home, the youth of the day started a revolution that became a way of life for many. The counterculture movement rebelled against the established social norms, and fashion was one of the first cultural artifacts to be affected by the counterculture. Where the boys of the early 60s wore classic men’s suits, which were becoming more mod with the British Invasion and epitomized by the look of The Beatles, the hippies of the late 60s were hyper-stylized. 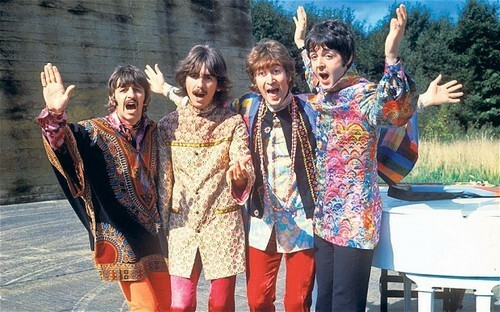 Hippies adorned themselves with rich colors, fabrics, and accessories, having embraced anything-but-conventional men’s fashion by wearing outlandish outfits that were deemed “far-out”, as in far out of the mainstream (and coincidentally adopted by The Beatles). While many of the those in the counterculture were concerned with changing the world, they were not concerned with what they were wearing or what anyone else thought about it. 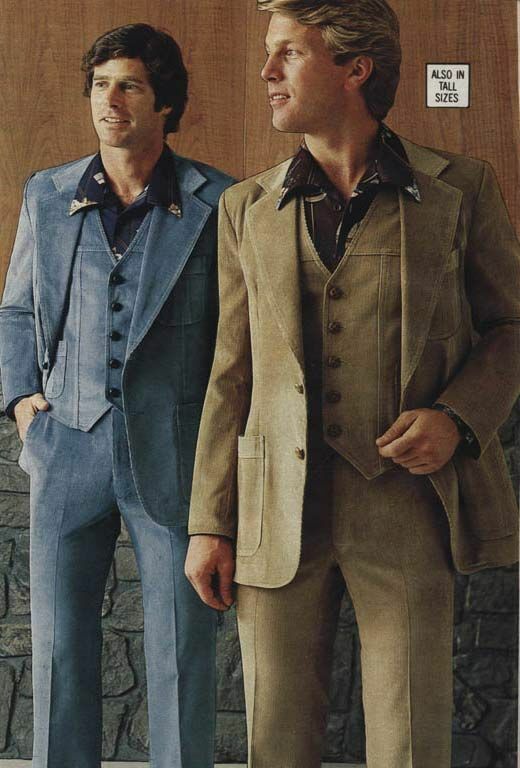 Quite possibly the most loathed era of menswear in the history of men’s fashion, the 1970s gave men at the time a variety of bad fashion in the form of bell-bottoms, leisure suits, and more, which always provides a good laugh at the expense of those who actually thought they looked good in these fashions at the time. 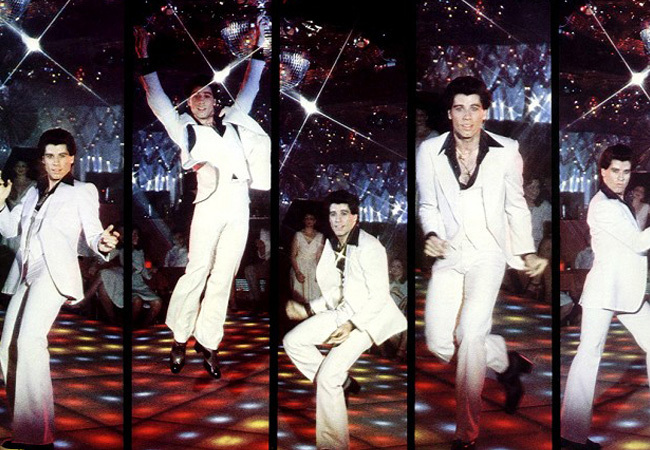 From the oversized, multicolored ponchos and denim pantsuits of the late-Sixties/early-Seventies to the glamorous yet garish disco era, epitomized by John Travolta in Saturday Night Fever. Gents, there’s a reason we don’t dress like this anymore. 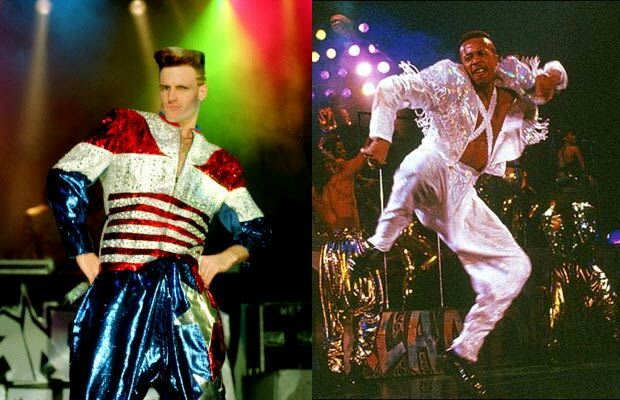 In the 1980s, the good men’s fashion took cues from the New Wave scene, an era of fashion that has since returned to trend over the past decade or so, while the bad gravitated towards smandex, or spandex for men (coining that term, btw), crop tops for men, yet even more denim, and hair rock perpetuated by the likes of Bon Jovi, Whitesnake, and so many more. Forget the first half of the decade when guys still wore short shorts from the 70s, albeit with more of a pastel-and-neon feel, some of the most regrettable 80s men’s fashions that peaked in 1987, and eventually devolved into an even worse decade of men’s fashion—the 1990s. While it is arguably the funniest show ever on television, Seinfeld is undoubtedly a showcase for some of the worst men’s fashion of the Nineties. The 1990s were bland for much of men’s fashion at the time, when oversized dress shirts and khakis seemed to have been the normal corporate dress code of the 90s office slave. After the turn of the century, the first decade of men’s fashion was unique in pushing new fashion trends towards the styles that we currently enjoy, but there was also a lot of really, really bad menswear, like these, ahem, unique styles worn by N’Sync. While men’s professional attire was becoming more stylish, the remnants of 90s men’s fashion lingered. Then there was the phenomenon of ugly dress shirts, which continues to float around the testosterone-and-Monster-fueled circles of dudebros that hover creepily at the club. The worst offender of this decade was Ed Hardy, whose prints are still found in department stores across the country. While it is inevitable that there will always be bad men’s fashion, and unfortunately it’s one of those things that you don’t know is bad until you have hindsight, but if we keep the tenets of progressive and stylish men’s fashion alive, maybe we can prevent more regrettable men’s fashion from ever happening.